Description: Apatite is usually green although it has been found in many different colors. Bright sea green is regarded as a gem for collectors and jewelry makers. The hardness is 3.5 to 5.0 according to the stone. History: The name is derived from Greek for “deceit” since it is often mistaken for other stones. Location: Blue-green Apatite comes from Myanmar and may have a cat’s eye effect. Other varieties have been found in Kenya, India, Russia, Madagascar, Norway and Sweden. Folklore: It is said to be the gemstone of communication and helps one overcome sadness and grief. Care: Apatite is not often used in rings due to it’s softness (3.5 hardness) and poor durability. It is sensitive to acids. Clean using a mild soapy solution, rinse well, and dry thoroughly with a soft jeweler’s cloth. Do not store near larger or harder stones as Apatite may become scratched or marred. Description: Anglesite is a native gemstone with prismatic crystals which often grows or juts out of deposits of Galena Ore it’s host rock. The color is white, or gray with pale yellow streaks. It is a crystal structure with a high luster. History: It is the best known Welsh mineral and was first recognized as a mineral by William Withering in 1783 who first found it in the Parys copper-mine. The name occurred later from the Isle of Anglesey in Wales where it was formally discovered in 1832 by Francois Sulpice Beudant. Location: It is mainly found in Wales, England, Scotland in the British Isles. It has also been found in in Morocco, Germany, SArdinia, Africia, Mexico and in the US. in Pensylvanis, Utah, and New Mexico. Folklore/Metaphysical: Anglesite is said to promote sensitivity, gentleness, relaxation and tenderness. Care: Anglesite is a very soft gemstone with a hardness of 2.5 – 3.0. It is therefore easily to scratch and damage when stored with other jewelry. Clean using a mild soapy solution with a soft bristled brush for the crevices in the mineral crystal. Do not use chemicals, cleaning products, or ultraviolet cleaners on this delicate mineral rather polished or rough. Description: Angelite is a lovely baby blue gemstone crystal. Some specimens are fluorescent under a UV light. Ordinarily the colors are white, gray, colorless, blue, or even violet. History: This stone is formed from Celestite which was compressed over millions of years. It was originally named Anhydrite but was renamed Angelite after a recent rediscovery. Location: Angelite occurs in a variety of areas in the world. Mexico and Peru are commonplace for this crystal gemstone. It has also been found in Germany and in the U.S. in New Mexico. Folklore/Metaphysical: Angelite is said to facilitate strength and stamina development. It is also noted to be a communication stone which can bring serenity, inner peace, and a sense of calm. Care: The use of tepid water with a mild soap may be used to clean this stone. Do not soak in water or use chemicals or strong cleaners as it may damage this lovely gemstone. Angelite has a hardness of 3.5 which makes it a rather soft stone which could scratch or be damaged by other stones. Please store in a soft cloth or jewelry bag. Description- Angelskin coral is a pale pink deep sea coral. It is often referred to as a Noble Coral which is the most desired and expensive of all coral types. History-They were often carved into cameos in ancient Greece and Rome and were said to be engraved as seals. Location-They are found off the coasts of Africa, Australia, Japan, Mediterranean, Malaysia, and the West Indies. Angelskin Coral is found at depths of 65 feet. 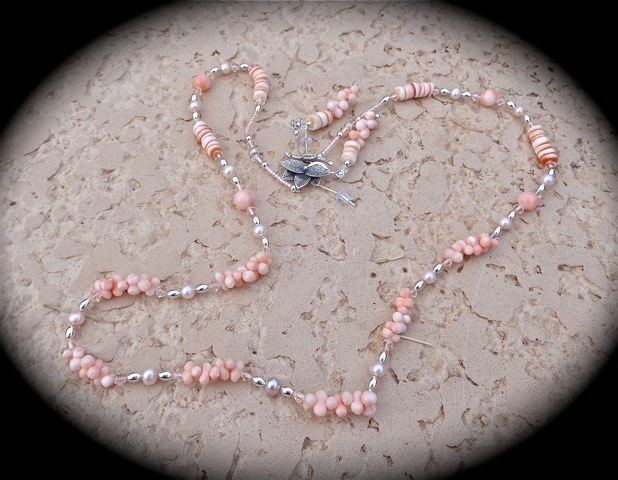 Folklore-Coral is one of the 7 treasures in Buddist Scriptures. Physically coral is used for general healing. It is said to ward off bad thoughts from others and promotes well-being. Care-Rinse coral in warm water. Do not use cleansers or chemicals as this may damage the soft porous coral beads. Dry flat on a soft kitchen cloth. Buff gently to raise the luster when coral is completely dry. Description: Andalusite is made up of Aluminium Silicate minerals and is somewhat rare in the jewelry field. The color may range from yellowish brown to dark bottle green, dark brown. The beads are quite difficult to match on any standard color chart. History: Andalusite was first discovered in Almeria in the southern Spanish province of Andalusia. A variety of Andalusite is Chiastolite known as “cross jasper” or “cross stone”. Location: It is found in Australia, Brazil, Canada, Russia, Spain, Sri Lanka but most often in Brazil. The U.S. also has specimens of this stone. Folklore/Metaphysical: Andalusite if often referred to as the seeing stone and is said to cure eye problems and because it is purported to encourange one to look at issues reationally by belping them to see the various sides to a problem without judgment or fear. 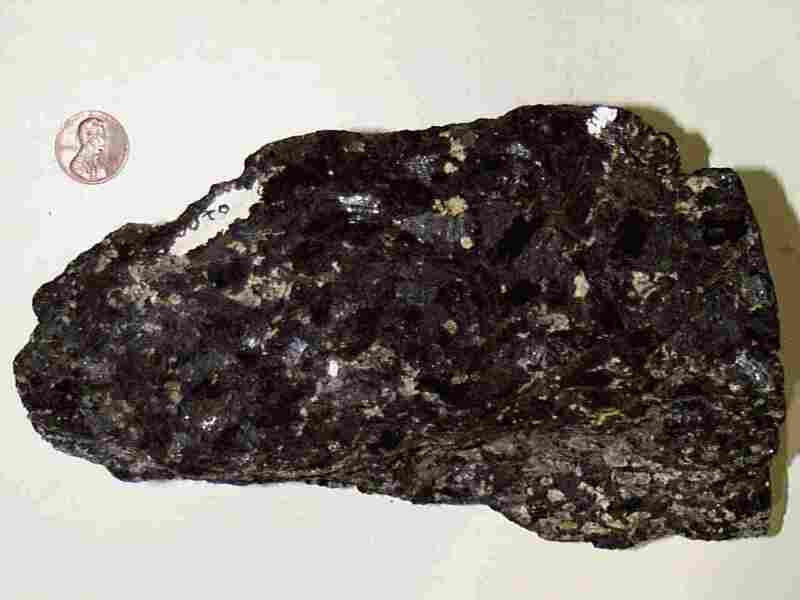 Care: Andalusite has a hardness of 7.5 so it is fairly hard and will wear well. It may be cleaned in a mild soap and water solution but never left in water. After drying, buff gently with a soft cloth. Description-Amphibolite is metamorphic and typically dark-colored with foliated or flaky structure. History-Amphibolite was used to produce adzes (a tool similar to an ax) in the central European early Neolithic cultures. Location-It is found in the Gore Mountain region of the Adirondack Mountains in New York State. They are also found in the Great Smoky Mountains and along the Appalachian Mountains from Main to North Carolina. Folklore/Metaphysical-Amphibolite is said to help individuals to accept compromise and is a grounding stone. Care-The hardness is 5-6 and is thus harder than glass but generally in a medial hardness range due to its metamorphic nature. It should not be placed in water while cleaning as this may damage the surface of the stone. Description-Crystals that are part Citrine and part Amethyst are called Ametrine. It is a rare and unusual stone which is also called “trystine”. The stone is often cut in facets to reveal the yellow and purple colors. History- The Ametrine bead is said to be Royal and to have been enjoyed by royals for centuries.The Anahi Mine located in the jungle of Bolivia was first discovered by native indians in the 17th century. The Bolivian government made this land a state reserve and built a fortress near the entrance of the mine. Location- Ametrine has been found most recently in Brazil and Bolivia. Much of the Ametrine protected by the Bolivian government made it’s way to the border of Brazil and has been sold there in the past decade. The Anahi Mine is the only confirmed source of natural Ametrine. Metaphysical & Folklore- Ametrine is said to have the healing properties of both the amethyst and citrine within it. Ametrine is also said to be helpful to eliminate distress leading to an inner peace and tranquility. It is said to be a very rare power stone. Care- Ametrine which is heat treated releases a slightly red tint. Ametrine is very rare and the future availability is uncertain. It has a hardness of 7 so it is rather hard however it will scratch and mar with excessive wear. Due to its rarity, care and storage of this gemstone should be taken into account. Chemicals and household cleaners are not recommended. Description-Amethyst is a variety of quartz of a purple variety. It is often found in geodes and it may be the most valued member of the quartz family in may circles. In most cases, Amethyst may vary in color from shades of red-violet to purple. The highest quality of Amethyst is said to be deep medium purple with a rose-colored flash. On the MOHS scale the hardness is 7. 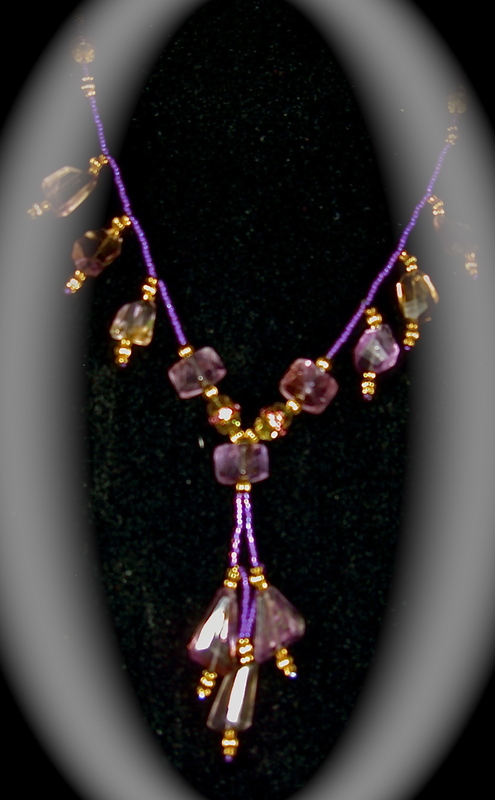 History- The name, Amethyst, is derived from the Greek word, “amethusos” meaning “sober”. 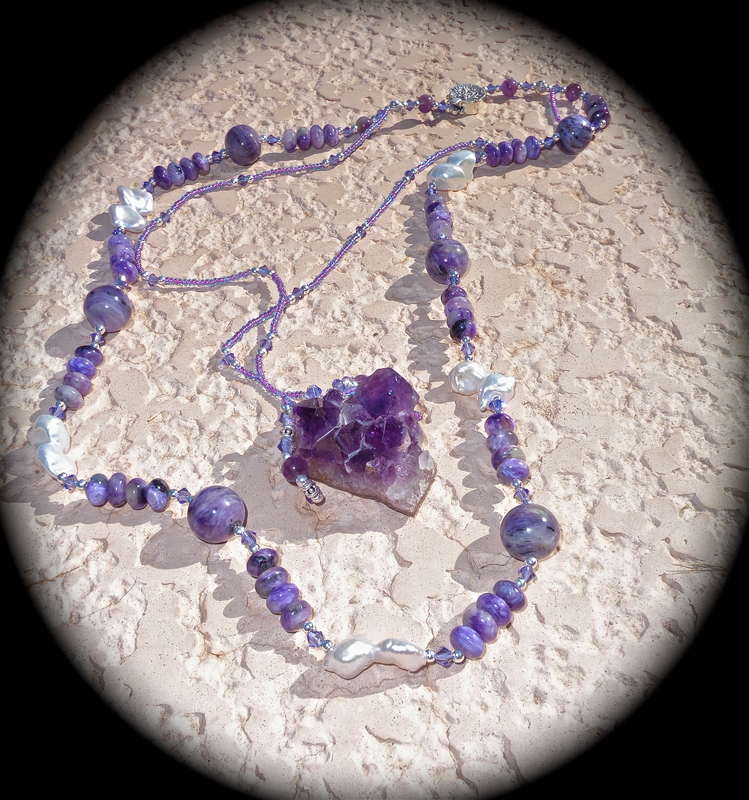 It was noted in several sources to have been used by the Egyptians and is noted that Aaron, the Jewish High Priest, wore amethyst as a breastplate central. It is said to have been included in the royal collections from Ancient Egypt to British Crown Jewels. Location- The best specimens of Amethyst today are said to come from India. Gem quality Amethyst is also found in Brazil, Russia, and in South America: Argentina, Bolivia, Brazil, Uruguay, and also in some African Countries and the U.S.A.
Metaphysical and Folklore-It is said to assist with the healing of alcoholism, obsessive behaviors, and other addictions. It iwas made the official biithstone of February by the American national Association of Jewelers in 1912. Physically it is said to balance metabolism, headaches, insomnia, and arthritis. Emotionally is said to increase intuition, integrate functions, and was used in ancient times by sailors for protection. Care- It is often heat-treated to bring out a deeper color, this heat treating is often permanent and the stones will not fade in color over time. Untreated Amethyst may diminish in color if left in the sunlight. Your natural Amethyst should. therefore by kept from direct sunlight. It is relatively hard but can scratch in time with excessive wear. Keep from household cleansers and ammonia products as it can damage the luster and quality of the gemstone. Description: Amber is a fossilized resin from pine tree deposits which has been found in deposits that are over 150 million years old. Most amber used in necklaces today is between 20-90 million years old. 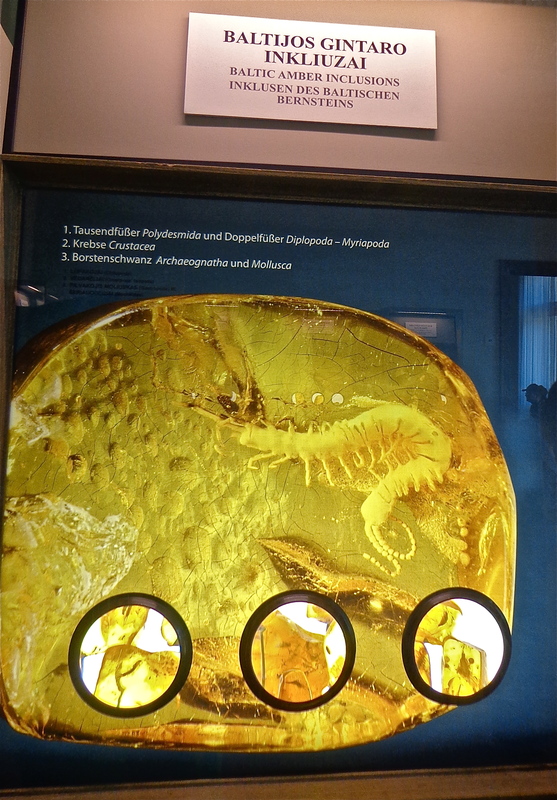 Copal is a younger version of amber which has not completely fossilized. The color of amber also varies from region to region. Amber may vary in color from dark brown to a light almost clear lemon yellow. Russian Amber may be green in color, where Lituanian Amber is a rich amber yellow and sometimes a wine color. White amber is said to be the oldest amber. Amber is not a rock or a mineral but is rather classified as a colored lightweight organic gemstone. Amber is a very light precious “stone” that floats. As the fossilized resin oozed from the trees sometimes trapped insects, leaves. 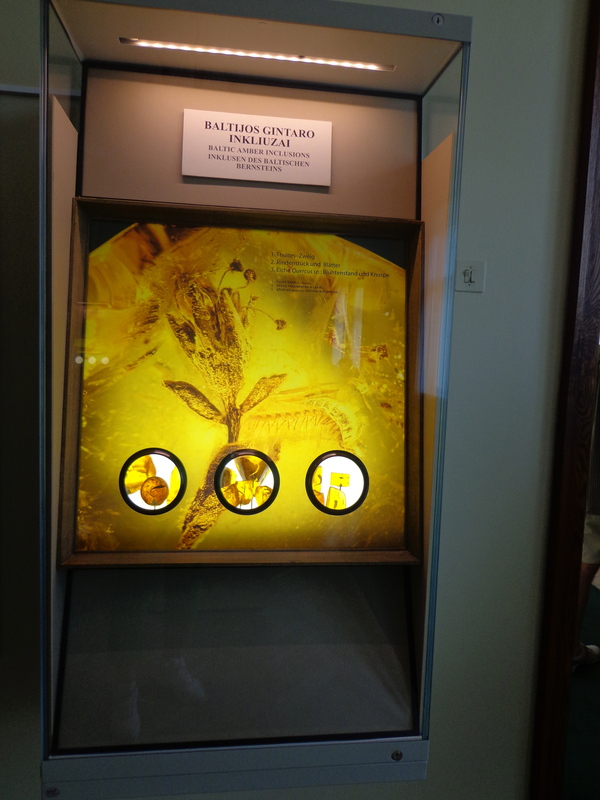 flowers and even small animals became part of the preserved remains. History: In the 14th century guilds of craftsmen created ornamentation and jewelry from Amber. 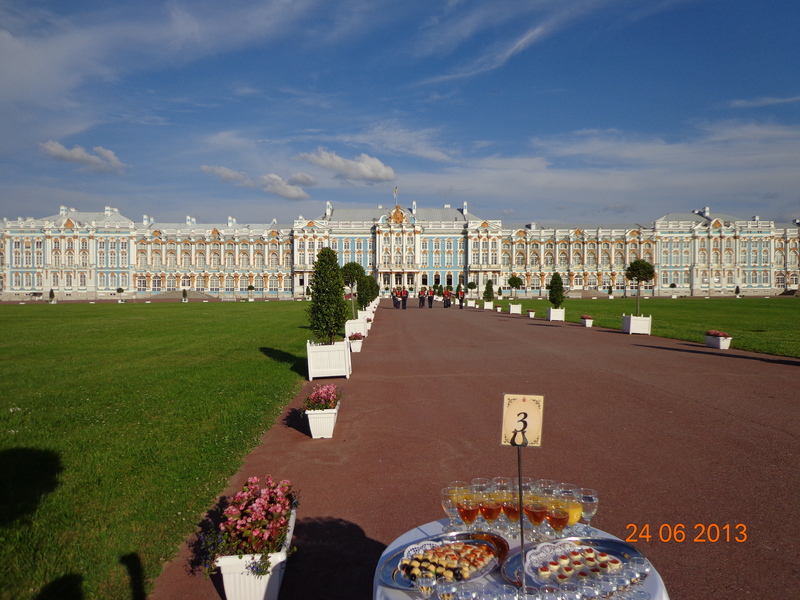 The most famous use of Amber was the “Amber Room” in Russia’s Catherine’s Palace. 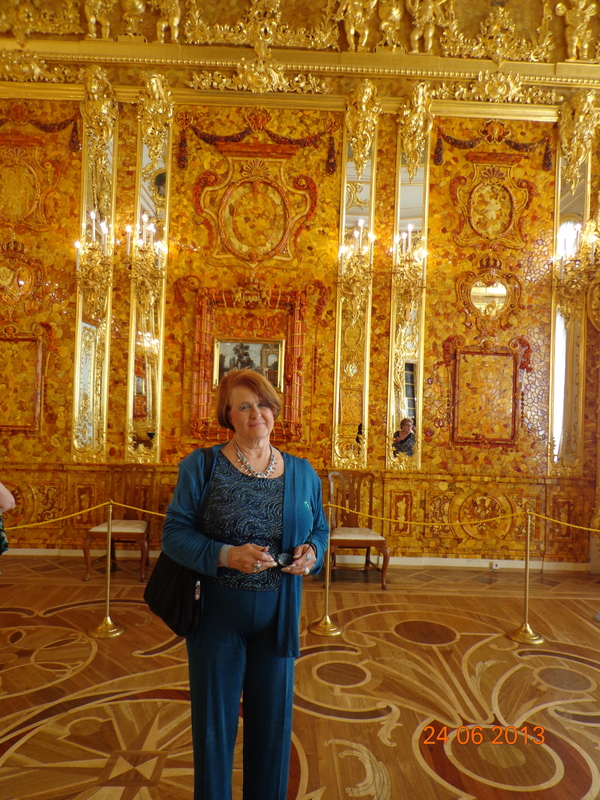 The room was destroyed during WWII but restored using a newer amber. I was on a buying/vacation trip in 2013 and found the room to be an exquisite site. 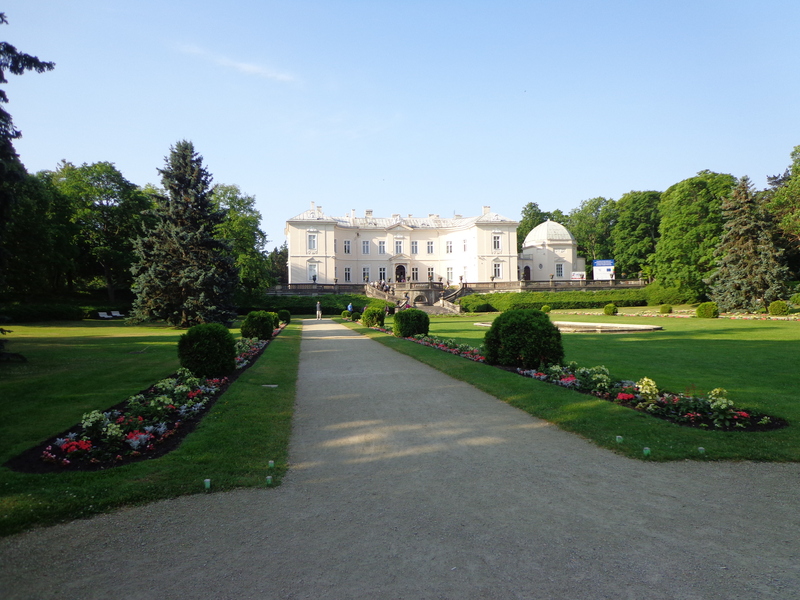 Location: The oldest ambers have been found in the Baltic region particularly along the coasts of Poland and the USSR. Younger ambers are known from the Dominican Republic. There are many kinds of amber which are named for the places they are found: Romanian-rumanite, Baltic-succinite, Sicilian-simetite, Myanmar-burmite Amber. Folklore: Legend has it that Amber in ancient times provided magicians with special enhanced powers. Today it is said to be a calming stone for hyperactive or stressed individuals transferring negative energy into positive energy. It is also purported to have a number of medicinal uses and is said to aid in healing. It has been used for centuries and was sacred to the Native Americans. Care: Amber is sensitive to pressure, acids, caustic solutions, gasoline, alcohols, and perfumes. It can be ignited by a match and smells like incense. When rubbed with a soft cloth it becomes electrically charged. Amber is very soft and should be protected from bumps and scratching. It requires great care and should be stored separately from other jewelry. Ultrasonic or steam cleaning can cause amber to shatter. Clean with warm water and a soft cloth. As a novice to test your amber, make a solution of saturated table salt and water and place a piece of amber in the mixture. If it floats, it is Amber. If it sinks it is man-made (some natural copals will also sink and would need further scientific tests to make the determination if they are real. If you have a piece of jewelry which has pearls, sterling, crystals included with your amber, please do not try this test as the other items may be damaged and be too heavy to accurately perform the test. The test generally refers to single and loose pieces of amber to later be placed in necklaces or used as a pendant. Once again if you see any information that you may question or want to add, please let me know so I can research and make corrections to make these Gemstone articles as accurate as possible. Description-Amazonite is a soft stone with a hardness of 3.5-4.0 which is mined in Granite rocks. It is an opaque green Feldspar which may have veins of white or yellow. History – Amazonite was used by Egyptians according to archeologists who are said to have found it in burial chambers. Two myths appear in various texts involving the origins of Amazonite. One suggests that Amazonite was called the stone of courage. It was named after the Amazon Woman Warriors who are reputed to have lived in the Amazon region during the Bronze Age according to archeological evidence. The most popular legend suggests that Amazonite was found in the Amazon regions and was thus named Amazon-ite. Location – Amazonite is found in many places around the world. Today the most important source is said to be India. It is also mined today in the U.S.A., Brazil, Zimbabwe, Russia, Australia, Namibia and South America. Additional location sources are Austria, Canada, China, Ethiopia, France, Germany, Japan, Madagascar, Kenya, Norway and Portugal. Folklore – Amazonite is said to have a soothing or calming effect by dispelling negative energy. It is also said to strengthen a persons’ ability to bring order out of chaos. It is noted in some sources as being a “Hope Stone”, enhancing hope and confidence as well as creative expression. There are many other metaphysical qualities; however, these appear to be the most relevant properties. Care – Amazonite is a relatively soft stone which makes it susceptible to scratch easily or be damaged. It is sensitive to pressure and should be stored in a small cloth or jewelry bag to avoid damage from other necklaces. The Author of this Blog, Nancy Uhlmann, is also the Owner and Head Designer for Absolutely Unique, LLC.